Description: BRAND NEW IN BOX. READY TO SHIP. BUY NOW!! 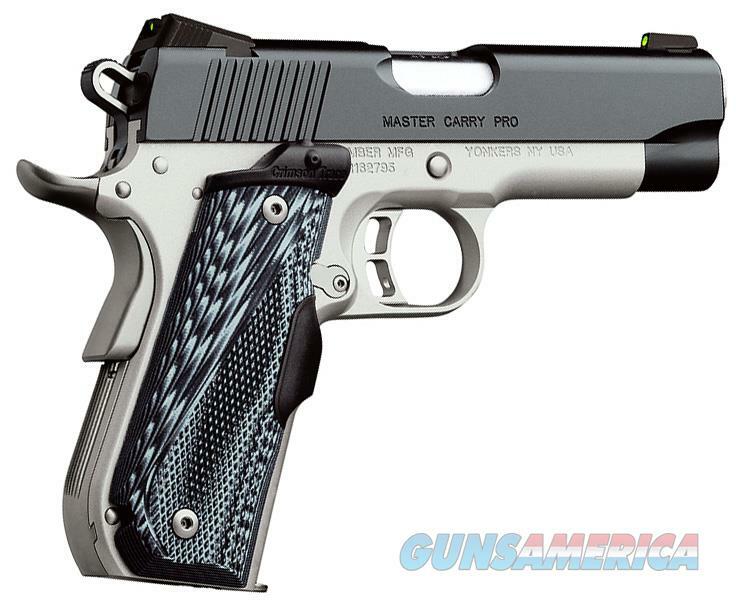 Ideal for concealed carry, the Master Carry Pro has a lightweight aluminum Round Heel Frame, matte black KimPro II slide finish and wears Crimson Trace Master Series Lasergrips.